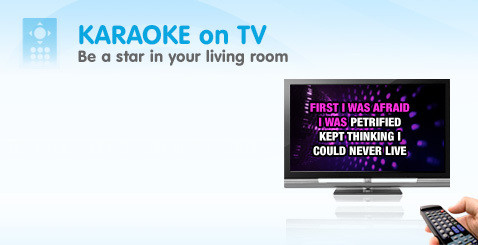 Sing along to great karaoke songs as the lyrics are displayed on your TV! Available 24/7 with the TV App for TVs connected to the Internet or via a Video on Demand service from television service providers. Throw the greatest karaoke party ever! Turn your home computer into a karaoke machine with a familiar web-based interface. Join the community to sing, record and share your performances online or vote and comment on members' recordings. Try it for free or sign-up for Star Membership. Optional USB Vocal Mixer with 2 microphones available! All you need to do is choose your favorite karaoke songs and your preferred format (MP4 or MP3+G), then download them to your computer. Play your karaoke library on iPhone, iPod touch, iPad, Mac, PC and other media devices. 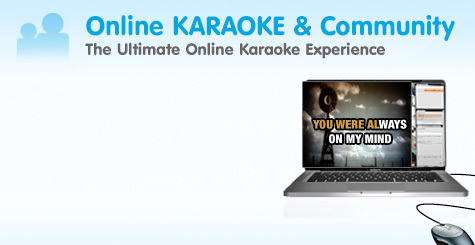 Sing along to hit karaoke songs wherever you go with your mobile device or tablet. 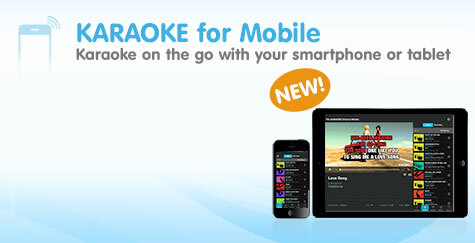 Get The KARAOKE Channel Mobile App and sing karaoke today!